There are just some interview questions that are considered off-limits while interviewing for a job. But, it’s not unusual for an interviewer with little to no experience to slide in a few tricky questions that are inappropriate and sometimes, even against the law. As someone who is pursuing a job, it’s vital to be prepared for a variety of questions as well as ready to avoid ones that don’t deserve an answer. 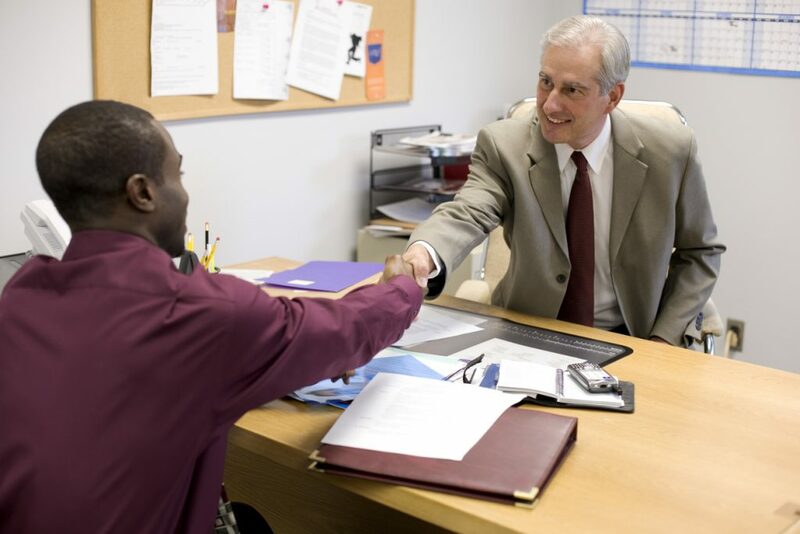 The main goal of any job interview is to determine if you’re the right candidate for the position and the organization, and if you’re a good fit for the company in general. Therefore, any questions you’re asked shouldn’t go beyond the boundaries of inquiring about your professional skills and enthusiasm for the job. You’re not obligated to answer any interview questions regarding your age other than letting the interviewer know that you’re 18 years of age or older. It’s also not necessary for you to present a photo ID that reveals your date of birth during your interview. If you are asked to submit a photo ID, simply tell the interviewer that you’re worried about identity theft and that you prefer not to show it until you’re actually hired and a part of their team. Be aware of how you answer the question. If you turn the question into a joke or try to downplay your age, you are literally attracting negative attention to the subject. 2. What are your spiritual beliefs or religion? Questions concerning your spiritual or religious beliefs are totally off-limits in an interview, including your religious background, affiliations, or what religious holidays you normally observe. If a hiring manager brings up the subject, try to determine why they’re asking you this question in the first place and then address those particular concerns. Maybe they’re trying to figure out if there are certain days of the week that you aren’t available to work due to your religious practice. Under no circumstances are you ever obligated to answer any question concerning your nationality or citizenship status, or even how long you’ve been living in the U.S. If the hiring manager starts asking you these kinds of questions, simply let them know that it’s legal for you to work in the U.S. Essentially, you can clearly state on your resume that you can legally work in the U.S., or if a part of your education or past work experience happened overseas. 4. About how long is your commute to this office? It’s not appropriate to ask how far you live from a potential job. But, the interviewer is allowed to determine if you can start at a certain hour in the day or perhaps relocate for the job. In fact, if you’re targeting jobs that may require relocating, be sure to put that information on your cover letter or resume and also in your online profiles that you’re able and willing to immediately relocate if necessary. If you have family members in a particular area or you once lived there, there’s nothing wrong with telling your interviewer that you already have a local area support system established in the area. This illustrates that you’re not an expensive flight risk and should consider hiring you. 5. What’s your marital status? Do you have children? Although an interviewer can inquire whether or not you’ve ever used another name for professional purposes or during your college education, they aren’t allowed to ask any questions about your current or past marital status, if you have children, or if you intend to have a family someday. Many times, the interviewer is harmlessly trying to break the ice when asking these kinds of questions. In such a case, just redirect the question back to them. For example, if they inquire about your marital status replay by saying something like, “Is family important to you? Are you married with children?” In doing so, you’ve continued the friendly chitchat without divulging any personal information that you would rather keep to yourself. By refusing to answer interview questions, it can sometimes create a somewhat uncomfortable atmosphere in the room and even jeopardize your chance of landing the position. However, it’s your choice whether or not you choose to answer the question. In fact, if the questions are too personal or intense, you also have the option to simply get up and leave as well. If an interviewer brings up one of these personal subjects, try to determine what they’re actually worried about and then guide the conversation in that direction in order to address their particular concerns. Also, try to keep the conversation as light and friendly as possible. It’s not necessary to appear defensive or angry no matter what you’re asked. Keep in mind that the interviewer is often innocently unaware of most of the federal laws and is just trying to be friendly.